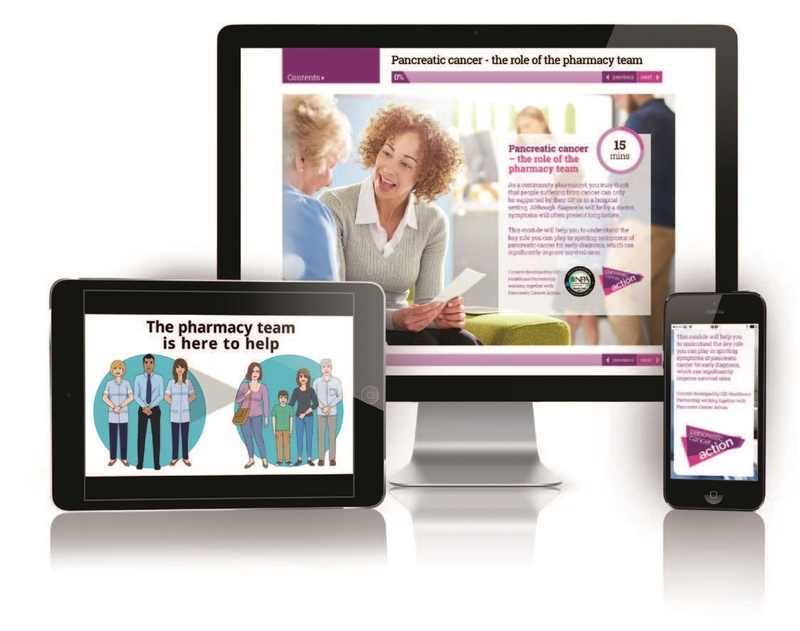 Pancreatic Cancer Action has developed e-learning modules for pharmacists and support staff to help support the early diagnosis of pancreatic cancer. Community pharmacy teams have a vital role to play in the early detection of cancer, and the new National Pharmacy Association-accredited digital learning modules have been specifically developed to help them learn more about the most common symptoms of pancreatic cancer. This will help pharmacists and support staff identify when urgent referral to the GP is required, which could potentially save a life. These modules will help pharmacists and support staff identify when urgent referral to the GP is required, which could potentially save a life. 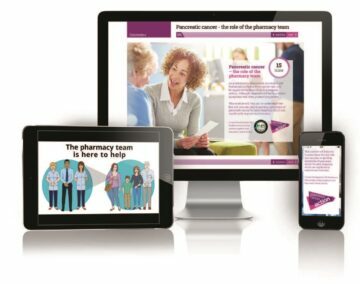 The modules contain two videos to help increase understanding and improve information retention: one to highlight symptoms for pharmacists to look out for in customers, and a bespoke animation that will provide you with a clearer idea of pharmacy’s role in helping customers with potential symptoms of pancreatic cancer. If you work in a pharmacy, you should you can go to www.pharmacymagazine.co.uk/pancreatic-cancer to access the pharmacist module, or www.tmmagazine.co.uk/pancreatic-cancer to access the support staff module (you will need to register register/login to view). 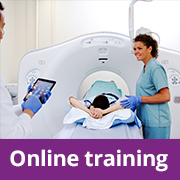 The new modules are part of Pancreatic Cancer Action’s range of accredited online training for healthcare professionals, which provide a practical solution to the problem of late diagnosis. It is recognised that the sooner pancreatic cancer is detected, the more effective treatment may be. 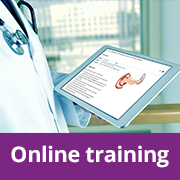 Our online courses help give professionals the knowledge and confidence to spot the signs and symptoms of pancreatic cancer. Patients frequently present to general practice with a range of undifferentiated symptoms that may or may not signify serious disease. This course helps GPs to make sense of the early symptoms that could be explained by pancreatic cancer. Using video-based scenarios, it reviews the patterns of symptoms that emerge over time, which can suggest a serious underlying diagnosis, and sets out an approach that GPs can take to ensure appropriate and timely investigation and follow-up in cases of diagnostic uncertainty. Please click here to start the module. Learn how patients with pancreatic cancer present, particularly in the secondary care setting, learn which investigations to undertake when you suspect pancreatic cancer, and learn the risk factors and epidemiology of pancreatic cancer. The module includes multimedia video. Please click here to start the module. For other resources for medical professionals please click here.